We are open 8am-5pm weekdays and 8am-noon on Saturdays. We are closed on Sundays. 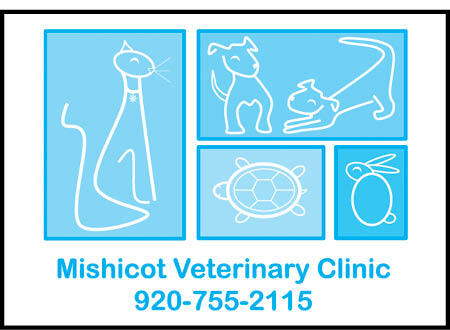 We enjoy treating dogs, cats, rabbits, reptiles, and small rodents. We have a full service hospital with x-ray, dental x-ray, ultrasound, surgery, dental treatment, anesthesia, hospitalization, laboratory, and a pharmacy. We also have an excellent groomer and offer some boarding. We regularly serve the community by providing low-cost sterilization to animals from the local shelter, and providing sterilization and rabies at low-cost for feral cats. Our Clinic is proud to sponsor events for Girl and Boy Scouts as well as the annual Blessing of the Pets on St. Francis Day at St. Bernard Catholic Church in Green Bay.